Science A-Z ensures that teachers have the resources they need to develop students' science knowledge and practices while also supporting key literacy skills. Science A-Z is an award-winning curriculum resource that provides a robust library of multilevel informational texts, hands-on experiments, and other engaging learning opportunities. Differentiate instruction with multilevel reading materials offered across three grade spans (K-2, 3-4, and 5-6). 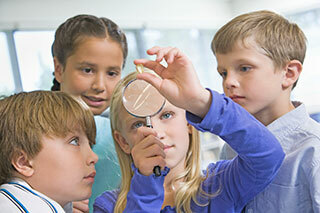 Put science into practice with high-interest science activities and projects that foster curiosity and investigation. Expand students' understanding with additional current events and STEM-focused resources. Science A-Z offers an abundance of resources for teachers and students offered in comprehensive units across four scientific domains: Life, Earth and Space, Physical, and Process Science. Life Science Resources teach students about the living world around them and how organisms interact with one another. Earth and Space Science Resources teach students about features, materials, and processes on Earth and in outer space. Physical Science Resources teach students about the nature and properties of energy, forces, and matter. Process Science Resources teach students about the skills and tools necessary to conduct investigations and find answers. Science A-Z provides a library of developmentally appropriate content to teach students science concepts, literacy skills, and the practices of science and engineering through printable and digital books and other resources. 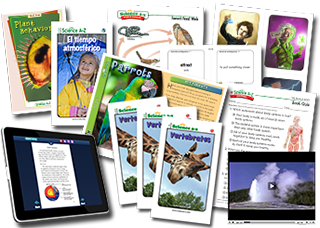 Satisfy both science and ELA curriculum standards with engaging content offered across three grade spans. Supplement instruction with hundreds of supporting texts, activity sheets, and lesson extensions that expand student understanding. Improve the home-to-school connection with engaging multilevel eBooks students can access anytime, anywhere. Science is best learned through hands-on experiences. Science A-Z delivers an extensive collection of engaging activities, guided experiments, and open-ended projects that allow students to think and investigate like scientists and engineers. Promote collaboration and inquiry-based learning with open-ended challenges that require students to apply STEM practices. Encourage creativity and innovation with the resources necessary to conduct a science fair.